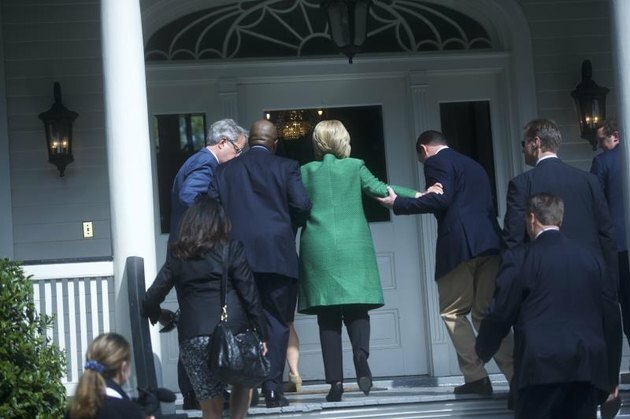 How Real Are the Claims That Hillary Clinton Is Sick? Jimmy Kimmel checked Democratic presidential nominee Hillary Clinton’s pulse on air last night. The late-night talk-show host also had her open a jar of pickles to demonstrate her vitality in the kind of ad hoc-doctor way that politicians are using to make actual claims about her health. All this media speculation raises the questions: Is Hillary Clinton actually ill? Or are all these claims just plain comical? Trump’s allegations are concurrent with a campaign overhaul following his sharp decline in the polls. He recently welcomed Stephen Bannon as campaign chief executive. Bannon’s last job? News chairman at Breitbart.com, a conservative news site that has run multiple articles speculating about Clinton’s health. And, in a recent interview with MSNBC, campaign spokeswoman Katrina Pierson made reference to Clinton’s “dysphasia,” which, by the way, is a condition she doesn't have. In fact, Hannity spent a week on FOX News earlier this month investigating Clinton’s health, utilizing the “Fox News Medical A-Team,” a panel of medical experts, to discuss possible illnesses. Though none of the medical experts have ever actually examined Clinton, they speculated using photos and allegations found on the internet. Dr. David Andrew Pinsky, popularly known as Dr. Drew, also hit the airwaves to say that he is “gravely concerned” about Clinton’s health and, more specifically, her treatments. However, Snopes.com and Politifact demonstrated that the documents were fakes. Bardack’s response confirms: “I have recently been made aware of allegedly ‘leaked’ medical documents regarding Secretary Clinton with my name on them,” Bardack says in a letter released in 2015. The letter referenced above detailed Clinton’s medical record, family history, medications and routine health maintenance. However, the largest section of the two-page statement focuses on a concussion Clinton sustained in 2012 after suffering from a stomach virus, becoming dehydrated and fainting. 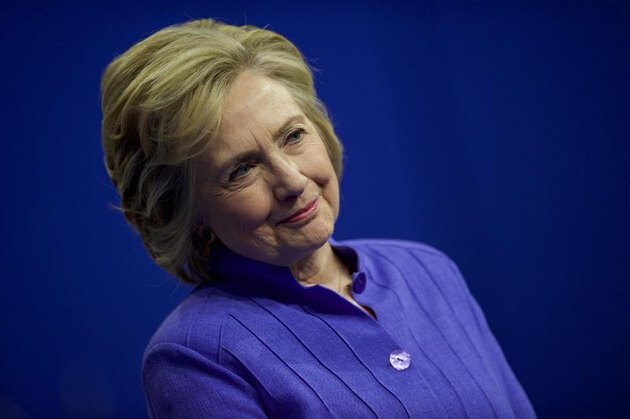 She had “a transverse sinus venous thrombosis and began anticoagulation therapy to dissolve the clot.” Although follow-up testing in 2013 demonstrated that Clinton had completely recovered, she continues daily anticoagulants (blood thinners) to reduce the formation of blood clots. The letter lists hypothyroidism and seasonal pollen allergies as Clinton’s only current medical conditions. Her current medications include Armour Thyroid, antihistamines, vitamin B-12 and a blood thinner called Coumadin. “She exercises regularly, including yoga, swimming, walking and weight training,” Bardack writes. Bardack’s statement is so specific that it includes Clinton’s vital signs from her then most recent physical examination. He goes on to note, “[Trump] has no history of ever using alcohol or tobacco products.” Some have noted on social media that that's not necessarily true. Then there’s Dr. Drew’s “concern” regarding Hillary Clinton’s treatment. Truth be told, thyroid disease expert Mary Shomon confirms that most conventional physicians abandoned Clinton’s medication, Armour Thyroid, a brand of natural desiccated thyroid (derived from animal thyroid glands), for levothyroxine, a synthetic form of monotherapy, back in the 1950s. Armour Thyroid has gotten a bad rap over the years because some physicians found it unreliable in terms of dosage. However, some patients respond better to Clinton’s type of medication. In fact, a study published in the European Journal of Endocrinology found that patients overwhelmingly preferred the type of treatment Clinton is receiving over the more common alternative. Another study showed that people found desiccated thyroid to be more “natural” and experienced less hyperthyroid symptoms than when on levothyroxine. Coumadin is the second most well-known blood thinner. The first? Aspirin. Do you think there’s more to the story than what Clinton’s doctor is saying? Do you care about the candidates’ health? Are you interested in Trump’s health record? To the medical experts in the audience: Is it standard practice to speculate on the health of patients that you’ve never examined, or is it taboo for you? Do you think women are disproportionately victimized by ageism? Editor's note: Originally we included "laughable" in the headline in reference to the Jimmy Kimmel skit, but we changed it to be more sensitive to our readers' concerns.